We can’t physically go inside the Earth. But we use imaging and seismic tomography from earthquakes to see inside our planet. During an earthquake, a break occurs at a fault. This is the driving force that generates seismic waves through the crust and mantle. We record each pulse at seismic stations from around the world. Depending on the type of rock, waves either speed up or slow down. If the rock is cold, waves travel quickly. But if rocks are hot, waves travel slowly. For every earthquake, we listen and record the seismic waves like a tape recorder. From these seismology readings, we produce 3D models of the Earth’s interior as a tomography. Minor magnitude 2 and below earthquakes shake the ground more than 100 times every day. Major magnitude 8 and above earthquakes happen on average once a year. During an earthquake, seismic stations record the scale and time of the earthquake. When you take information from seismic stations around the world, you can turn it into a tomogram. For example, doctors use tomograms to view cross-sections of the human body from x-rays. But Earth scientists use tomograms to see cross-country sections of the Earth. 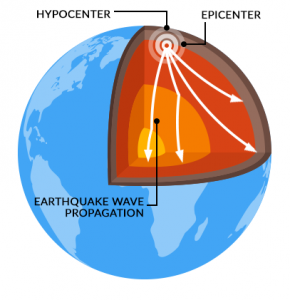 If you have an earthquake and the seismic waves travel within the Earth, those waves speed up or slow down depending if the rock is cold or hot. If the rock is cold, the rocks travel quickly across. But if the rock is hot, the waves slow down. If the rock is hot, seismic waves travel to the seismometer later than expected. But if the rock is cold, seismic waves travel to the seismometer earlier than expected. Tomography uses the speed at which waves travel. 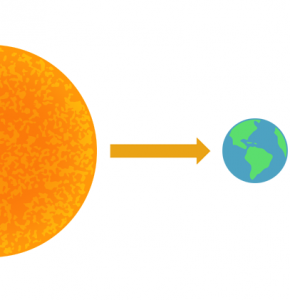 But we convert wave speeds to temperatures and generate a 3D picture of Earth’s interior. 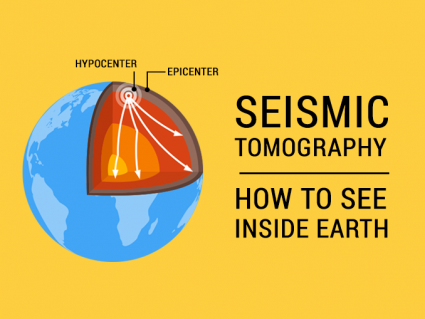 In the end, we use earthquakes and seismic tomography to peak into Earth. We use techniques like radiometry and spectroscopy to measure light in the atmosphere. But unfortunately, light doesn’t travel through rock. The deepest that anyone has been able to dig into the Earth is 12.2 kilometers. This was the Kola Superdeep Borehole in Russia back in 1970. To overcome this challenge, we use seismic waves similar to medical x-rays. Earthquakes provide the only insight of seeing deep into the planet. It’s from the unfathomable amounts of energy waves when seismic waves pulse through rocks in the crust and mantle. By measuring the speed waves propagate, we get characteristics of inside Earth.